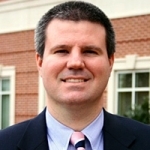 John Brock Harris, Assistant Professor of Pharmacy, joined Wingate University School of Pharmacy in November 2012. He earned his Bachelor of Science in Chemical Engineering concentrating in Biosciences from North Carolina State University in 2002. After completing undergraduate work, he received his Doctorate of Pharmacy from The University of North Carolina – Chapel Hill School of Pharmacy in 2007. He completed his first year post-graduate education at New Hanover Regional Medical Center in Wilmington, North Carolina followed by second year post-graduate education specializing in pediatrics at Monroe Carell, Jr. Children’s Hospital at Vanderbilt in Nashville, Tennessee. Dr. Harris became Board Certified in Pharmacotherapy while completing his pediatric post-graduate work in 2009 and Board Certified in Pediatric Pharmacotherapy in 2016. Dr. Harris is an inpatient clinical practice faculty member in pediatrics at Novant Health Hemby Children’s Hospital in Charlotte, North Carolina where he has practiced for nearly 10 years. This presentation will focus on the pharmacodynamic and pharmacokinetic principles in neonatal populations and the implications for medication selection and monitoring. We will discuss parameters related to these principles and how pharmacotherapeutic regimens are determined using them. Absorption, distribution, metabolism, and elimination of medications and the clinical impact of neonatal patient characteristics and medication properties on pharmacotherapeutic decisions will also be presented. We will also contrast medications and why medications may be preferred for some neonatal disease states due to medication characteristics. The information provided will act as a foundation for pharmacotherapeutic recommendations based on patient and mediation specific properties for neonatal disease states.